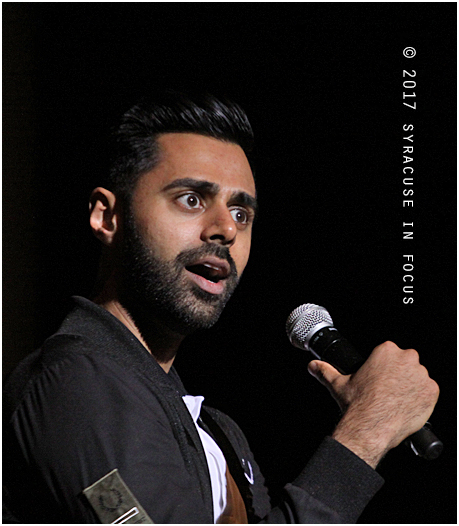 The Daily Show’s Hasan Mihaj was part of the University Union and University Lecture Series at Syracuse University on Friday. He talked about refugees, immigration, fake news and the probability of being attacked by a terrorist. 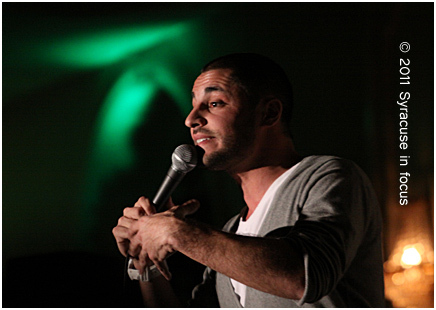 After an opening monologue he was engaged in a conversation with SU Professor Osama Khalid. 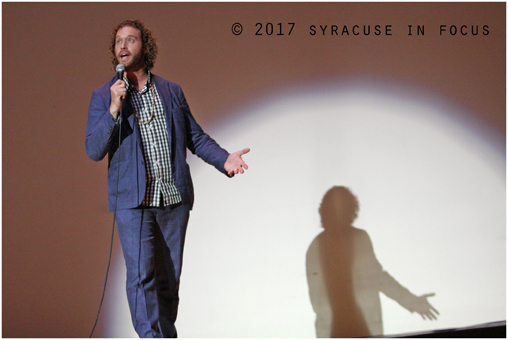 Comedian, actor and writer TJ Miller was one of the featured artists for Syracuse University’s Orange Central. Miller says he started as a comic and a writer. He recently exited the HBO series Silicon Valley. 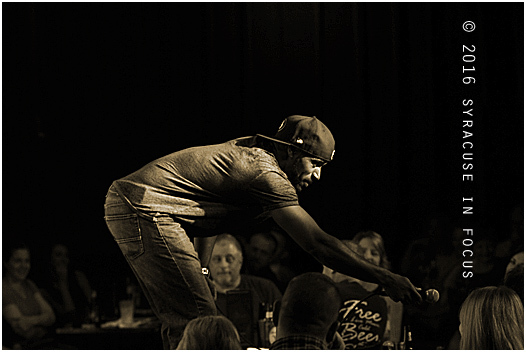 The comedy show at SU was produced by University Union. Baldwinsville’s Dan Frigolette released his first album this week, titled “Naked & Amused.” It was recorded before a live audience in St. Louis. 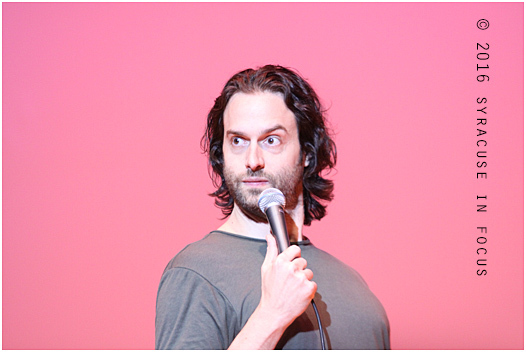 As a comic Chris D’elia seeks to change the game, not let the game change him. You can do anything you put your mind to…wait, no you can’t. According to comedian Chris D’elia, we may think we are special; think we have our own theme music; think we are men (and women) on fire, but actually, we are just extras in someone else’s movie. The 36-year old actor/funny man, who looks like a cross between Pau Gasol, Marc Maron and a young Kenny Loggins, laid down some hilarious bits during a Parent’s Weekend show at Syracuse University last night. Of course, some of the jokes provided some good old fashion shock value for some of the parents, but the students laughed anyway (in the seats right next to them) at subjects such as bear encounters, buying pants for your man friend, and the difficulty of digesting too much Chipolte and Kit Kats. D’elia has the physical comedy of a young Jim Carrey and by the time he reached the closing segment about his friend’s daughter Onica, he had the entire crowd totally hooked. 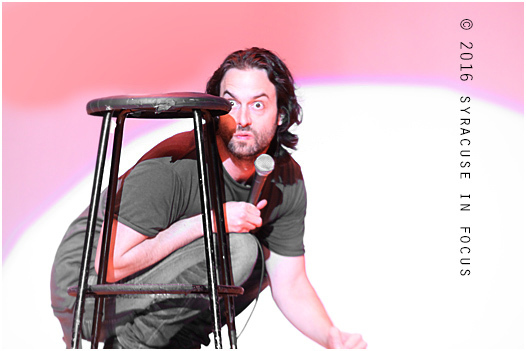 D’elia has starred in sitcoms Whitney and Undateable.” His next comedy gigs are in Albany. Michael Lenoci opened the show. If your friend buys you pants that fit, according to D’elia, just say no. 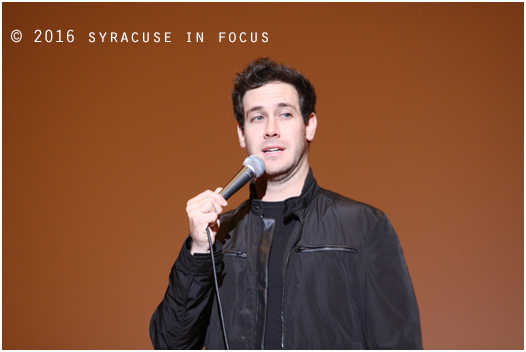 Michael Lenoci was the opening comic for Syracuse University’s Parent’s Weekend. 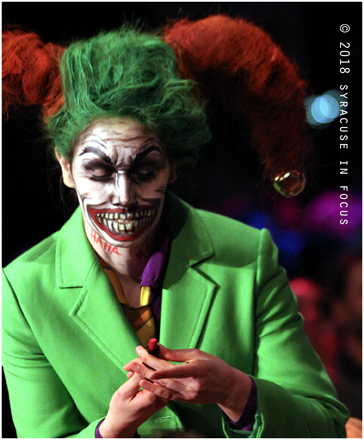 The show was produced by University Union. Emerging comic J. 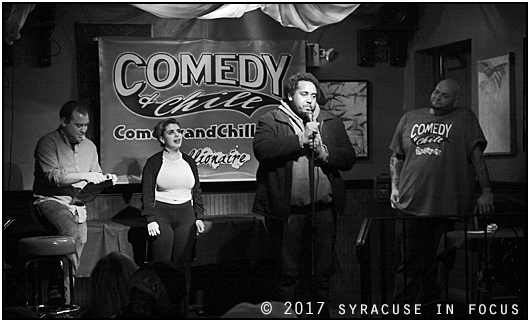 Tree was one of our favorites to participate for the recent amateur night at the Syracuse Funny Bone. 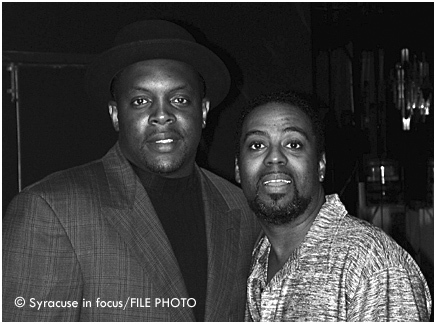 Syracuse promoter Tony Jett (left) and comedian T.P. Hearn at the Hotel Syracuse almost 20 yrs ago.